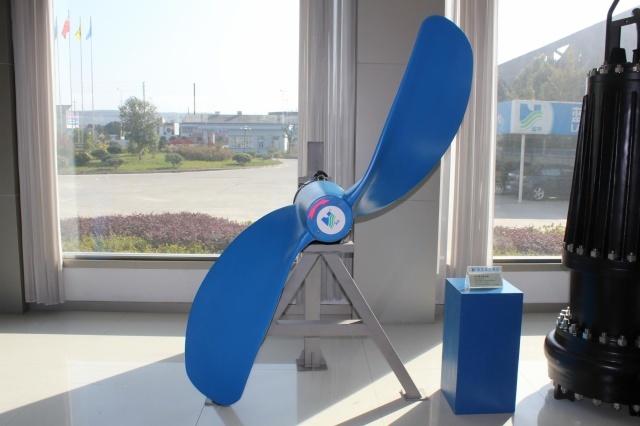 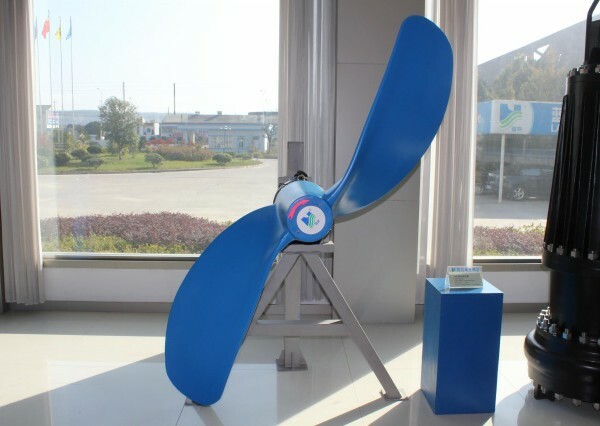 QJB slow speed propeller has the characteristic of compact structure, easy to install, simple to operate, easy to maintain, small power of the motor and low noises level. 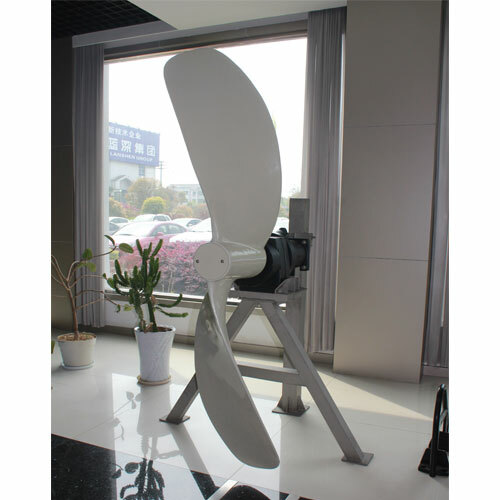 QJB slow speed propeller are able to be located at any position. 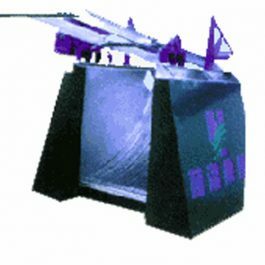 They have the best efficiency. 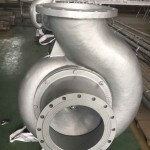 They are widely used in waste water treatment plants and industry process to agitate the suspended substances contained water, watery slurry, icy water, liquid from industry process, roast liquid, etc. 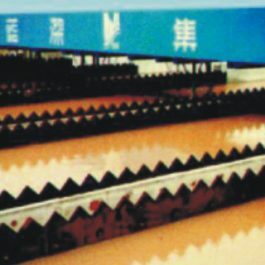 They can be also used to create water flow in the tank, to open up water channel, to oxygenate fishing pound, to prevent pound form icing. 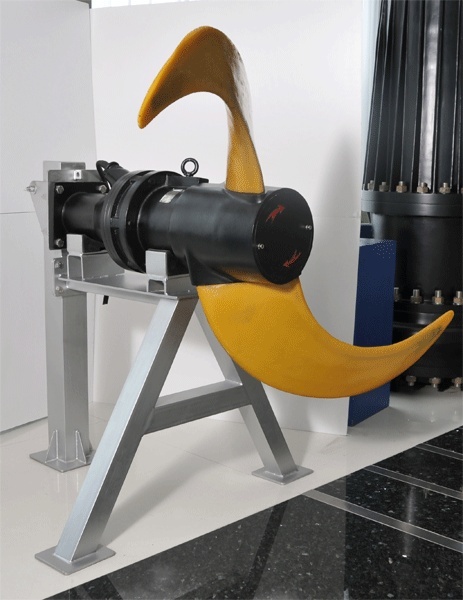 6.Viscosity of up to 50cP in tank of volume between 1000 and 3000m3, viscosity of up to 1000cP in tank of volume between 500 and 700m3. 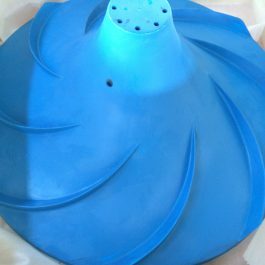 The mixer shall work entirely under water and shall not work in the ambient of explosion and fire hazardous area and corrosive gas or liquid. The mixer power is decided on the volume, density and viscosity of the agitated liquid and agitating depth. 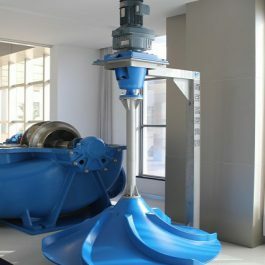 Several agitator are used in large tank.